On Tuesday, June 4th, S.O.S. organized a neighborhood rally at the corner of Albany Ave. and Bergen St. in response to the fatal shooting of Damien Powell that occurred on Sunday, June 2nd. As many as 50 persons attended the 30-minute rally, including local residents, ministers and advocates from other Brooklyn Neighborhoods. At the close of the rally, S.O.S. 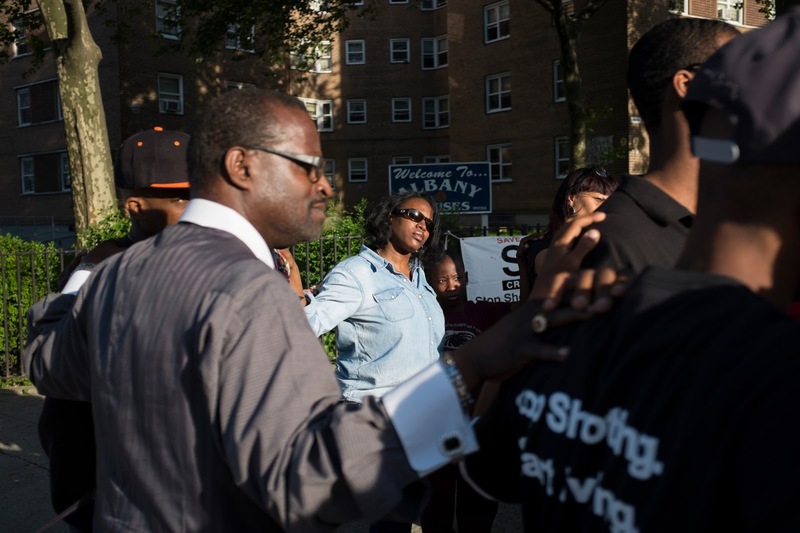 Clergy Liason Reverend Kevin Jones brought people standing around the block together into a tightly knit circle, and as each person put a hand on the other's shoulder he said to the group, "Let us stand together against gun violence."